The Mineral Resources ministry is currently monitoring the licensing and compliance of retailers selling fireworks for Diwali. 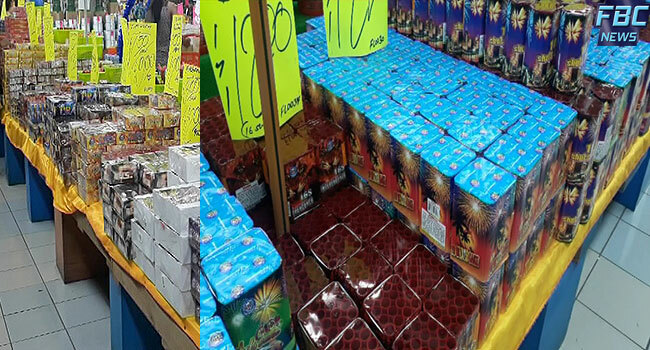 Permanent Secretary Malakai Finau says three groups of ten officers are undertaking the surveillance to ensure all retailers are operating within the law and that customers are able to purchase legally compliant fireworks for this festive season. Meanwhile, Fijian Competition and Consumer Commission Chief Executive Joel Abraham says traders have also been warned to move away from recycling old fireworks stock. Non-permitted or prohibited fireworks include spherical or cylindrical shells, firecrackers which include woodpecker, strikers, bangers, lady-crackers, and flash-bangers, pulling/string crackers, aerial wheels, mines, rockets and rockets without stick. Fireworks are permitted between 5pm and 10pm on any other day whereas on Diwali day the permitted usage time is between 5pm and 12 midnight.